is there a generic part I could use for 8 simple pads? The part is a Mpxv5004dp but it seams simple but I can’t find it. There doesn’t appear to be a footprint for this (it is an odd size and pitch). Since a full part isn’t that much harder than a footprint, here is a part. 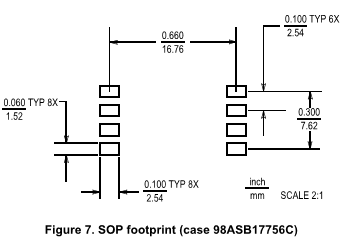 As always verify the footprint is correct against a real part before ordering boards.